This work was made for the 9th Biennale of Sydney, 1992/3. 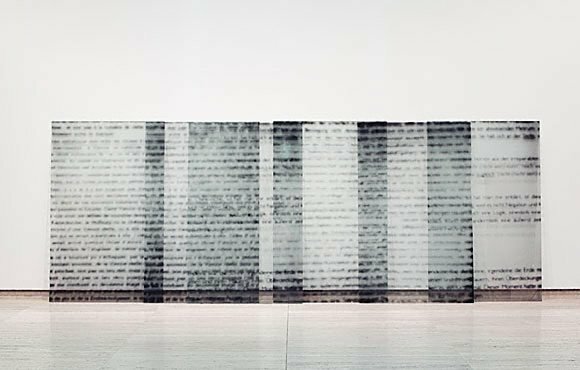 The blurred text was directly printed by Eva Schlegel on glass panels. At times the text is barely legible, at other times it transforms into traces and blurred markings. The work suggests the ephemeral nature of language and its slippage from one context to another.